A while back I wrote about Daniel Glattauer’s Love Virtually which has been released meanwhile. 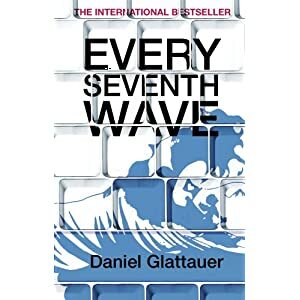 I just saw that the sequel, Every Seventh Wave, will be published this year as well. Usually I include the amazon blurb at the beginning of my posts but this one contains too many spoilers of the first book. Like its predecessor, I have read Alle sieben Wellen when it came out in Germany. 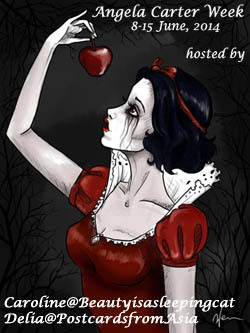 For all those who like Love Virtually, they can look forward to a sequel that is very close to the first book. The story of Leo and Emmi, their e-mail exchange goes on. More passionate and more intense than before. And still they ask the same questions. Should they meet or should they not? To the somewhat playful tone of the first book Glattauer adds a bit of a darker undertone. I cannot say too much or it would be a spoiler. Even though I didn’t like the idea of a sequel at all and if I had had something to say, it wouldn’t have been written but since it was and I liked the tone of the first book, I had to read this one as well. And it isn’t disappointing. 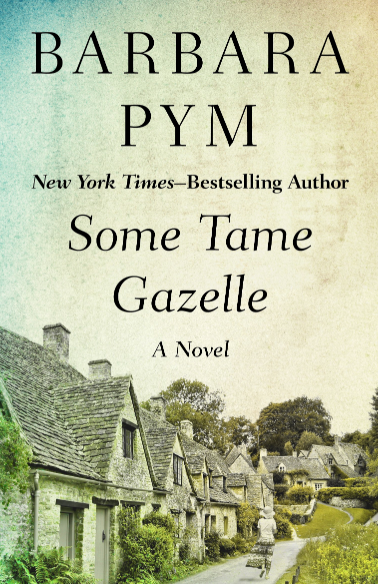 It is as witty, charming, thought-provoking and enjoyable as the first. All those who thought that Emmi and Leo’s story shouldn’t finish like it did in Love Virtually will enjoy this book. All those who loved the style of Glattauer the first time, will enjoy this as well. Although Love Virtually can be read on its own, this one can not. If you want to read Glattauer, you should start with the first one. I have no problem with the translation of the title this time, it is pretty literal but I still like the German cover better. The Austrian author Daniel Glattauer has written quite a few books that have been successful in Germany and other German speaking countries. Like so very often none of them has been translated. Should you read German you can find more information on his website. It seems as if in other countries than Germany they really release both books pretty much at the same time. Not exactly. The hardcover of “Love virtually” was released in March 2010. They release the paperback version of “Love Virtually” at the same time that they release the hardcover version of the sequel. Clever. I see there’s an audio version. It is read by three different readers (a man and a woman for the two characters and a voiceover I suppose), it can be really good for epistolary novels. PS : I like the idea that they kept the German cover for the French market. (It was the same for The Line of Beauty, now that I think of it). It suits me, it’s like the translation is only a technical matter to make the book available to a larger audience. The aim is to remain as close as possible to the original and I really appreciate that. Yes, that is clever. I think in the UK, both hardbacks a re published close to each other. The German cover is so much better. I didn’t like the English one, its very misleading. I’m not sure about an audio version. I’m not sure you read the comment thread of the first book, apparently there were two translators, a woman and a man. And the Danish translator left also a comment. I think he was wondering about the title. Finally it isn’t the translator at all but the editor who choses a title. It was actually not that clear to me that the title was the editor’s choice but it explains why they are often badly chosen. There, and I was thinking that we hardly ever see contemporary German authors in translation. The first book is available here, but the one you review won’t come out in hardback until the summer. I’ll look out for the first one. It is a HUGE pity that not more is translated. I have at least ten favourite novels and authors who have no chance at all. Older and newer books alike. Many fine female authors among them. Also the production of former East Germany is interesting. I found Glattauer to be entertaining, intelligent and quite thought-provoking. This sounds wonderful, Caroline. I was disappointed to learn that Amazon won’t have it until July, but that will give me plenty of time to read the first book. My German is limited–how I wish I’d studied it more so I could read the original. Many translations are good, but others are so stilted. This is really one of those cases where both books are equally good. I think they went to a lot of effort with the translation of these books but unfortunately some things always get lost like the title of the first book. But when a translation doesn’t make sense, what can you do? I agree that not a lot of German contemporary fiction is translated and it is a pity! This won’t be out here until April, so I have a bit longer to wait, but I have added it to my list! Glad to hear the sequel was as good–I tend to groan at the idea of sequels to successful books, too. The sequel wasn’t needed but in the end it was still good, well written and thoughtful but the sequel and the new/second ending spoilt the first one which seemed so perfect. As far as I know, the UK edition of “Every Seventh Wave” was published just a few days ago. The BBC broadcast a dramatization of “Love Virtually” last year, starring David Tenant (famous in the UK as Dr Who) and Emilia Fox, which was terrific (http://www.bbc.co.uk/programmes/b01cwv4c). More Importantly, though, Every Seventh Wave is being broadcast this Valentine’s Day (Ahhhh…): http://www.dt-forum.com/entry/david-tennant-emilia-fox-record-every-seventh-wave-for-broadcast-valentine-s-day. It’ll be available outside the UK for a week on the BBC “iplayer”. Thanks so much for the comment. I listened to Love Virtually. It was really good. I didn’t know there would also be a dramatization of this one. Thanks for letting us know. I’d love to listen to it.